Jabad Hassan Laskar or for that matter sitting BJP MLA Dilip Kumar Paul from Silchar could not have gauged the powerful tool of social media. Both of them probably by now have learnt that this tool can make or break anyone before the drop of an eyelid. A video post that went viral since Sunday, has taken everyone by storm for the name of Dilip Kumar Paul got dragged into an FIR lodged by Noimul Islam Laskar, father of Jabad at Sadar Thana on Sunday night. 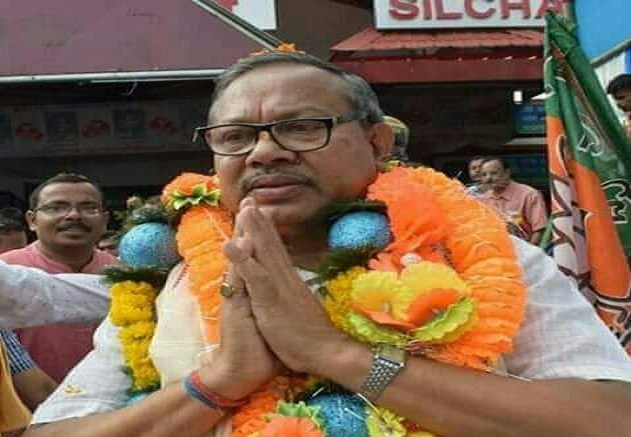 The FIR was lodged with the allegation that Jabad was thrashed by some supporters of Dilip Paul and his PSOs at Ambicapatty’s Chowrangi, in Silchar. The boy in turn, in his early 20s, may have tried his luck too far. Having sent a friend request to one lady who happened to be married, and of Hindu community, through facebook, got elated when she accepted it. The lady in turn though informed and asked her husband whether he knew Jabad, to which he denied, but allowed her conversations with Jabad to continue. Only when he asked her to take her out on a date, the lady and her husband planned to teach Jabad a lesson. They called him at Ambicapatty’s Chowrangi and her husband with a few others laid a trap to catch hold of him red-handed. Jabad too arrived in a sleek AC vehicle, but after reaching here, ran out of luck. Some locals entered his vehicle and pulled him out. Within a few minutes, MLA Dilip Paul too reached the spot who himself stays 200 metres from this place. In the ensuing melee, some of them started kicking and thrashing the boy in the name of ‘Love–Jehad’ which took centre stage. With timely intervention of the police, he was later taken to Silchar’s sadar thana and kept the whole night. 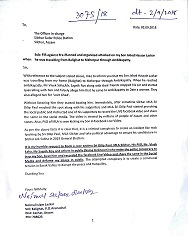 Noimul Islam Laskar, father of Jabad, was also quick to retort and filed an FIR Sunday night itself against MLA Dilip Kumar Paul, his PSOs and some others involved, as alleged, in beating his son, Jabad. On Monday morning, after amicably resolving the issue, the FIR against MLA Dilip Paul, his PSOs, and others, were withdrawn, and Jabad Hassan Laskar, too, got freed. Well for now the picture ends here, but, colloquially as is said in Hindi, ‘picture abhi baki hai mere dost’. The morale of the story is, why at all Jabad sent a friend request to an unknown lady in the first place, and, more so, why that lady, who knows nothing about Jabad, accepted his friend request. Probably, Mark Zuckerberg of Facebook can only give these ‘silly’ answers.